This 4th of July add some flavor to your hot dogs and throw some potatoes on the grill. Before I got some culture in my life, my hot dogs were pretty much plane Jane and only saw mustard. And it wasn’t that cute little squiggle line you see on the commercials either. I drenched my hot dogs in mustard. This holiday dress your grilled dogs as if it were Cinco de Mayo. Oh and those black things you see sticking out from underneath all those fixings, those are my hot dogs. I like mine burnt to a crisp. If you want to go even wilder wrap the hot dogs in ham and throw some lettuce into the mix as well. Now that’s good eats. Also, wrap up some good sized baking potatoes in foil and thrown them on to the grill. You could also wrap up 2-3 smaller potatoes together to make one big potato. Just be sure when they are soft to mash them all together by pounding them with a large spoon or tongs. Esposo’s uncle places the foiled wrapped potatoes directly onto the hot coals. If you do this be sure to turn during cooking time to prevent them from hardening. To test when the potatoes are done, hit them with the tongs and if they give in easily they are done. They will have a delicious smoky flavor. Dress them with sour cream, butter and shredded cheese. For an extra treat throw in some chopped up fajita and pico de gallo. 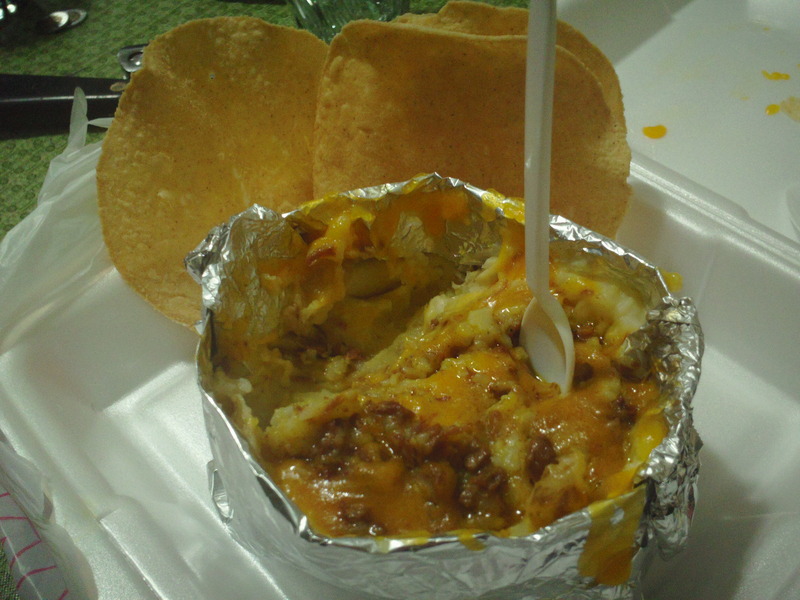 Mexicans like to slather the meat of the potato across *totopos. Don’t forget the salsa. Enjoy your 4th of July and happy eating! 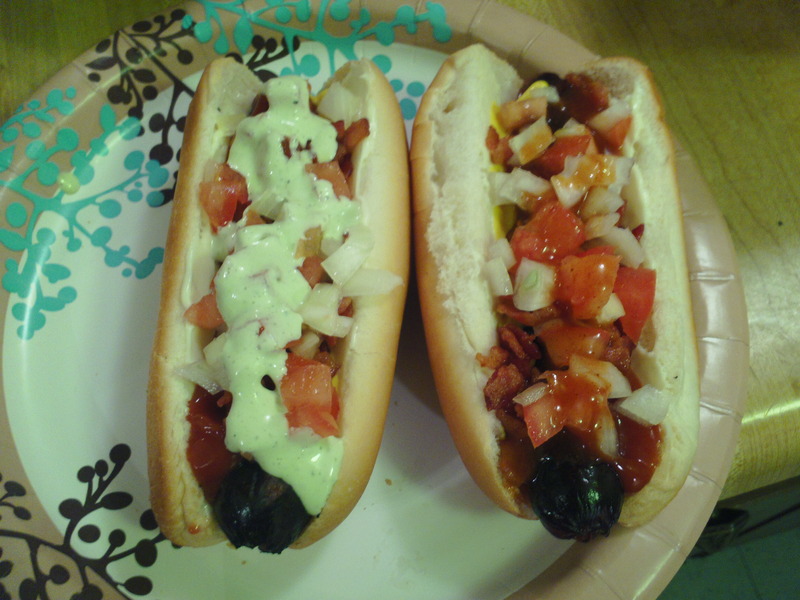 How do you like to fix up your hot dogs and baked potatoes?